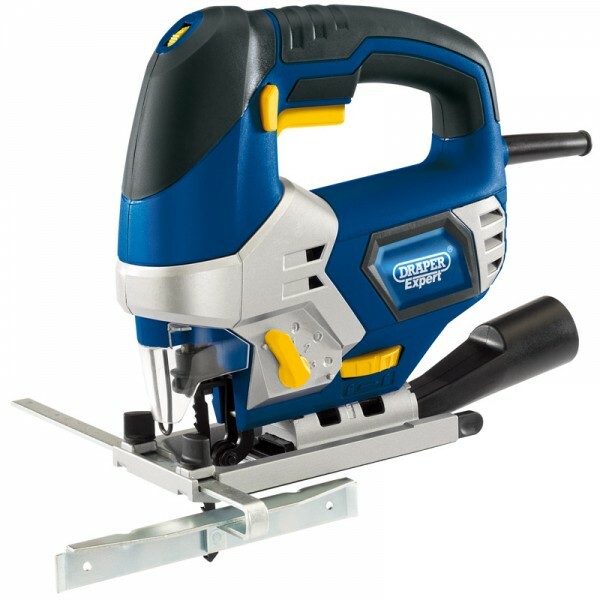 Expert Quality, orbital jigsaw attached with a powerful 710W variable speed motor. Manufactured with a cast aluminium base plate, clear plastic blade guard and a four position orbital action. Fitted with electronic variable speed control, 0-45% bevel cutting base, on-tool blade storage facility, dust extraction facility and an LED light to aid cutting. The soft grip handle ensures user comfort, even when used for prolonged periods. Supplied with parallel guide fence, a wood jigsaw blade, hex key, width guide, approximately 3M of cable and approved plug. All contained in a heavy-duty storage case. For further technical information about Jigsaws, please contact us.